When 89% of corps members cannot write a letter - Corpr! 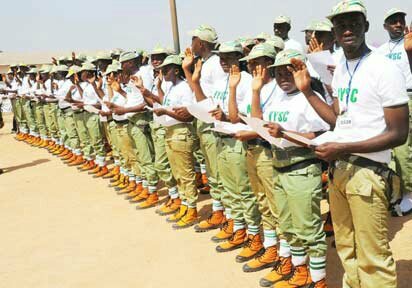 Last week, the Kano State Coordinator of the National Youth Service Corps, NYSC, Mr. Sanusi AbdulRasheed, lamented that 89% of corps members in the country, could neither write a good letter of application nor communicate effectively in the English language. members could not write a good application”. The situation is so pathetic that the Corps chief advised that the corps members he addressed (who were actually passing out from the year-long programme), should “not feel too big”, but should “go and buy primary and secondary school books”, in order to learn the rudiments of how to write good applications. Serious deficits In short, what the Kano NYSC chief was saying is that Nigeria’s “generation next” is ill-equipped for the business of building our country. Corps members on parade…How literate are they? My own contribution is towards the missuse of words in our spoken english as stated above where some professors said “my names are” this is not the only term we make this mistakes but the best way to solve this problem or rather avoid this mistakes is for everybody to go back to his/her parts of speech and tenses. Pls don’t feel too big to do that. Wat r them doin in de class?